Governor Greg Abbott was today honored as Mr. South Texas 2019 as part of the 122nd Washington's Birthday Celebration in Laredo. To commemorate the honor, the Governor attended the Los Caballeros de la Republica del Rio Grande Cocktail Party Friday evening and today participated in the Mr. South Texas 2019 Anheuser-Busch Washington's Birthday Parade. Following the parade, Governor Abbott delivered remarks at a press conference, during which Laredo Mayor Pete Saenz presented him with the key to the city. 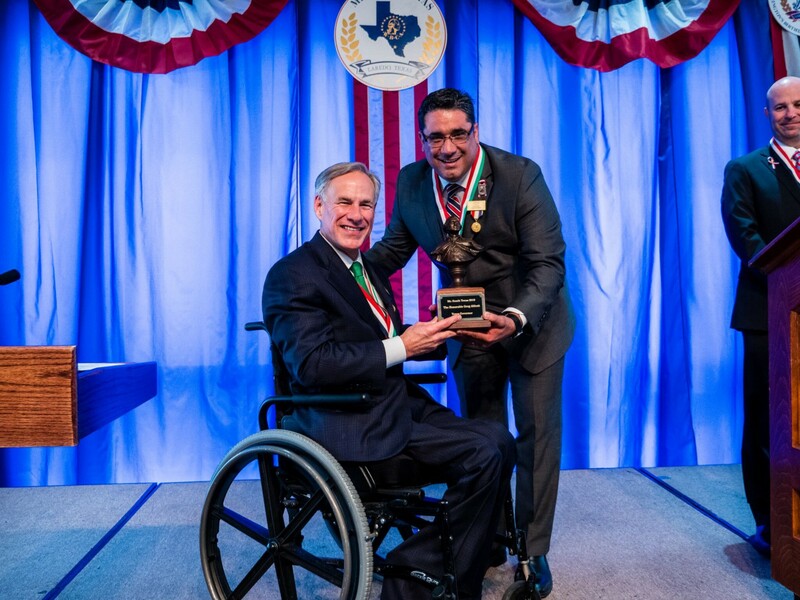 "I am truly honored to receive the key to the great city of Laredo and to have been named this year’s Mr. South Texas," said Governor Abbott. "It is humbling to join the list of those who have received this honor for their incredible impact on this region. As Governor, I will never stop working on behalf of the people of South Texas, and I look forward to working with leaders like Mayor Saenz, Judge Tijerina, and my partners in the legislature to chart a course toward an even brighter future for Laredo and all of South Texas." The annual Mr. South Texas designation, sponsored by Washington's Birthday Celebration Association (WBCA), is presented to an individual who has made a significant and lasting contributions to the growth and development of Laredo and the South Texas region. Each year, the recipient is honored during the month-long Washington’s Birthday Celebration in Laredo - the oldest celebration in the United States honoring George Washington.